Betty Medsger is an investigative reporter, author, photographer, producer, media critic and educator. In March 1971 as a Washington Post reporter, Medsger was one of five recipients – three journalists and two members of Congress – of copies of FBI files stolen by a group of anonymous individuals called the Citizens Commission to Investigate the FBI. Medsger was the only recipient to make the files public. In contrast, journalists at The New York Times and The Los Angeles Times returned the files to the FBI, as requested, as did Sen. George McGovern (Democrat of South Dakota) and Rep. Parren Mitchell (Democrat of Maryland). The first FBI files to ever become public, they revealed unprecedented FBI spying on students, academics, antiwar and civil rights activists, African American individuals and organizations and other Americans. One of the stolen files revealed the existence of one of the FBI’s deepest secrets, a series of programs, most of them illegal, known as COINTELPRO (for Counter Intelligence Program). The programs utilized a range of methods to disrupt American political organizations, including using disinformation to destroy people FBI director J. Edgar Hoover disliked, setting up violence between individuals and organizations, having FBI agents and informers giving false trial testimony under oath that led to false convictions and even, in at least one instance, setting up murder. Unprecedented calls for an investigation of FBI Director J. Edgar Hoover and his FBI. A national consensus that henceforth such agencies, previously never subject to either official oversight or journalistic investigation, should be held accountable. Both houses of Congress conducted the first congressional investigations of all intelligence agencies and established permanent intelligence oversight committees. In one of the most powerful reforms following the revelations, Congress strengthened the Freedom of Information Act in 1974. After that, journalists and scholars were able to base articles and books on original files from these agencies. Medsger went on to teach journalism practice and ethics in an extensive academic career. She is a founding member of Investigative Reporters and Editors (IRE) and has served on the board of the Center for Investigative Reporting. 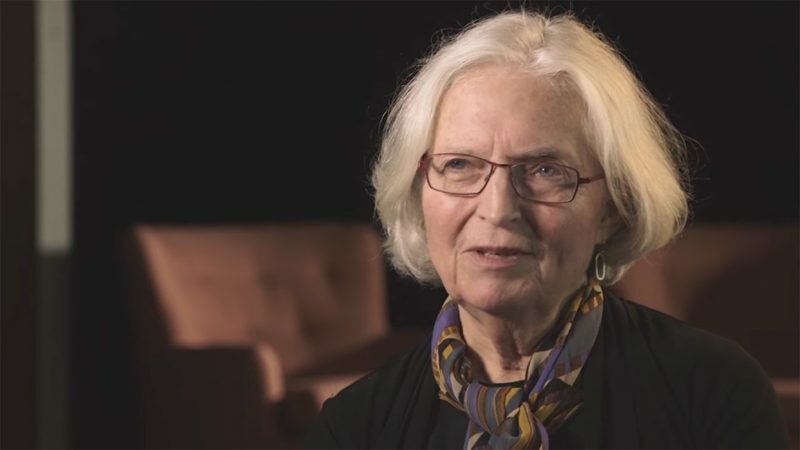 She is also the author of four books, including “The Burglary: The Discovery of J. Edgar Hoover’s Secret FBI,” which details the theft of the COINTELPRO files from the FBI’s office in Media, Pennsylvania. Betty Medsger talks about receiving the first documents stolen from the FBI's Media, Pennsylvania office in 1971. Betty Medsger discovers the identities of the Media burglars at a dinner party in 1989. Betty Medsger talks about how a routing slip found among stolen FBI files revealed the agency's COINTELPRO domestic surveillance program. Medsger graduates as valedictorian of her high school in West Wheatfield Township, Armagh, Pennsylvania. After earning her bachelor's degree from Grover City College, she starts her career at the Tribune-Democrat in Johnstown, Pennsylvania, where she says she becomes "a thinking person" for the first time. Wanting to experience life in a city, she moves to Philadelphia where she works for the Evening Bulletin covering education, religion and race issues. Committed to unbiased coverage of the Second Vatican Council and its impact on Philadelphia's large Catholic population, she clashes with Catholic editors and leaves the Bulletin for The Washington Post in January of 1970. As a Washington Post reporter, she finds in her mailbox an anonymous manila envelope containing stolen documents from the FBI's office in Media, Pennsylvania. It was the first time a journalist had received stolen government files from sources outside the government. It was also the first time Washington Post publisher Katharine Graham confronted demands from the Nixon administration to suppress a story. Despite immense pressure, and only months after Vice President Spiro Agnew's dismissal of the media as "nattering nabobs of negativism," The Post publishes the FBI story. Three months later the Post publishes the Pentagon papers . A year later, the Post begins publishing the Watergate stories. Medsger reports and produces "Don't Call Me Girl Anymore," a seven-part documentary series on domestic workers and "D.C. Village One Year Later," a five-part series on a public home for the city's elderly, for the local NBC television station. Medsger travels throughout the United States photographing women for her first book, "Women at Work: A Photographic Documentary," The photographs, also exhibited in one-woman shows in the U.S. and abroad, were the first collection of images to illustrate the full range of work, traditional and non-traditional, done by American women. The U.S. Department of Health, Education and Welfare commissions Medsger's photography exhibit, "Women in Health," for the International Conference on Women and Health in Washington, D.C. Her book, "Women at Work: A Photographic Documentary," is published. Medsger joins the faculty at San Francisco State University as a part-time lecturer. She would be hired as the first full time female faculty member in 1981. She leads department in making major revisions in the department's curriculum, including adding an experience-based reporting course, the adding journalism ethics as a required course and as a subject to be included in all journalism skills courses. Her book, "Framed: The New Right Attack on Chief Justice Rose Bird and the Courts," is published. San Francisco State University awards her a doctoral equivalency for her body of work over the previous 18 years. Medsger is named Chair of the Department of Journalism at San Francisco State University. In this capacity she leads successful efforts to racially integrate the previously all white faculty and the mostly white student body. At a dinner party in Philadelphia, Medsger's hosts reveal themselves as two of the eight burglars of the FBI's Media, Pennsylvania, office. She learns they had all avoided arrest, despite one of the largest FBI investigations in history of the bureau as of that time. Her hosts tell her that shortly after the break in, the burglars agreed to take the secret of the burglary to their graves and, as a precaution against arrest, to not associate with each other. Weeks later, Medsger begins plans to convince the burglars to reconsider that vow and be interviewed for a book about this important and largely unknown piece of American history. Eventually, all eight agree to participate and six agree to reveal their names. Medsger conducts research for the book on a part-time basis over many years, interviewing the burglars and their children, FBI agents, congressional staff and intelligence scholars; reading the 34,000-page bureau investigation of the burglary, transcripts of a related trial, as well as many thousands of pages of official reports and investigations, journalistic and scholarly articles and books. Her goal: to write a book that tells the story of the burglary but also the story of the impact of this act of resistance and its revelations on the FBI, the government and the public. With faculty approval, Medsger founds the Center for Integration and Improvement of Journalism in San Francisco State University's Department of Journalism. The Center became a national model for creating effective methods to recruit, retain and place a growing number of journalists of color in newsrooms. Backed by The Freedom Forum , Medsger conducts a comprehensive national study of journalism education in the U.S. The resulting book, "Winds of Change – Challenges Confronting Journalism Education," has been used in journalism education programs across the world. A retrospective exhibit of Medsger's "Women at Work" photographs runs in San Francisco. Photographs from Medsger's "I Don't Just Cope – I Live" series on life for the physically disabled are featured extensively in the documentary film Breathing Lessons: The Life and Work of Mark O'Brien," which wins that year's Academy Award for Best Documentary (Short Subject). Medsger teaches a seminar on race and ethnicity at Columbia University's Graduate School of Journalism. "The Burglary: The Discovery of J. Edgar Hoover's Secret FBI" is published. In the book, Medsger tells the story of the Media, Pennsylvania, burglars and their theft of the FBI's COINTELPRO files. Documentary film, "1971," made possible because of Medsger's reporting and book, in which she is interviewed. Board of judges, Columbia University’s Race Workshop awards, 2001-2006. Mentor Award, California First Amendment Coalition, 1997. Distinguished Service to Journalism Award, Northern California Chapter of Society of Professional Journalists, 1995. Judge, National Gay and Lesbian Journalists Association national competition, 1995. Judge, Association of Women Journalists national competition, 1995. Chair, Distinguished Service Award Committee, Association of Schools of Journalism and Mass Communication (ASJMC), 1991. Judge (and chair of panel of judges), Scripps Howard annual newspaper competition, 1989. Selected participant, workshop on teaching journalism ethics, School of Journalism, University of Maryland, March 1988. Visiting evaluator, journalism education programs, on behalf of the Accrediting Council on Education in Journalism and Mass Communication. Evaluator, proposal to create journalism program at Dominican College, San Rafael, California, spring 1988. Judge, San Francisco high school journalism competition, spring 1988. Judge, Bay Area Most Censored Stories Competition, sponsored by Media Alliance, 1989 - 1994. Selected participant, Journalism Education Leadership Institute, Freedom Forum Media Studies Center, Columbia University, 1987. National Teaching Award, Poynter Institute for Media Studies, 1985. Exceptional Merit Service Award for faculty research, SFSU, March 1983. First prize for national magazine documentary article, 1981 Odyssey Institute Fifth Annual Concerns of Children Media Awards, for "The Lost Children," a national investigation of foster child care, The Progressive, May 1981. A Lowell Mellet Award for Improving Journalism Through Critical Evaluation, 1980, for "Trial by Newspaper," November 1979, New West Magazine. National Press Club award, 1980, "The Most Captive Consumers: at the Mercy of the Wheelchair Barons," how an international monopoly in the wheelchair industry guaranteed that wheelchairs would remain inferior and harm users. “The Burglary: The Discovery of J. Edgar Hoover's Secret FBI.” New York: Random House, 2014. “Winds of Change: Challenges Confronting Journalism Education.” Washington, D.C.: Freedom Forum, 1996. “Framed: The New Right Attack on Chief Justice Rose Bird and the Courts.” Cleveland: Pilgrim Press, 1983. “Women at Work: A Photographic Documentary,” New York: Sheed and Ward, 1975. Charles Lewis interview with Betty Medsger, Oct. 27, 2014, American University, Washington, D.C.
“Burglars Who Took on FBI Abandon Shadows,” The New York Times, Jan. 7, 2014. “Remembering an earlier time when a theft unmasked government surveillance,” The Washington Post, Jan. 10, 2014.